Spring Bohemian: Cinched Off-Shoulder and Embellished Denim. 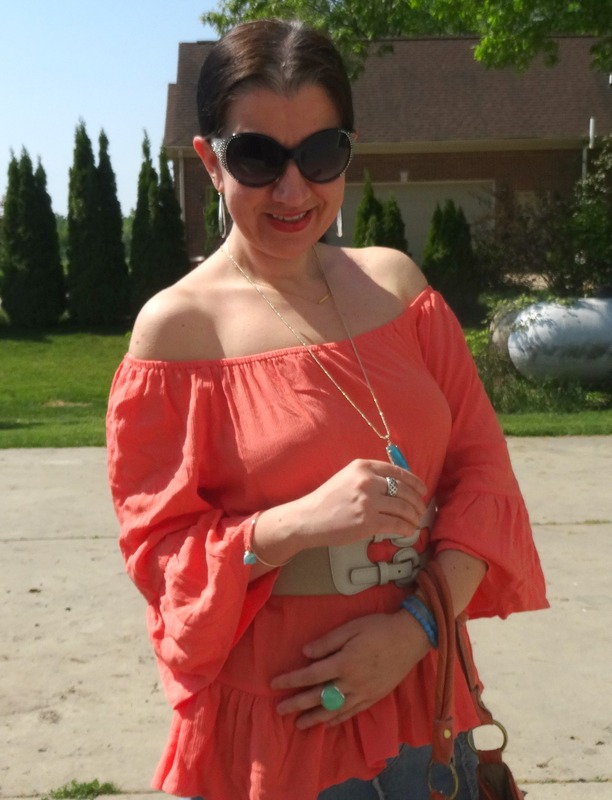 Today is the third and final day of my Spring Bohemian Collaboration with the Darling Debbie. 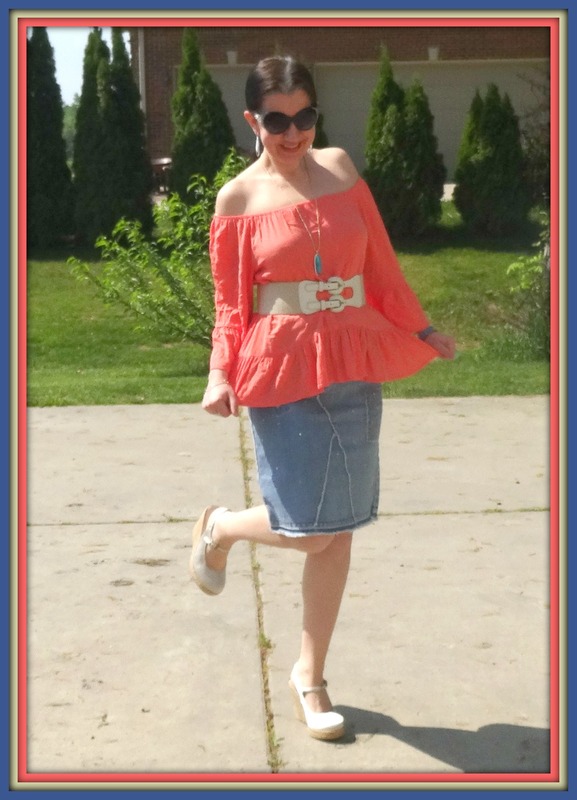 And if you have stopped by my blog this week, you have seen that I have shown you an entire week's (Monday thru Friday) of Outfits that are perfect to wear for late Spring and Summer and let your bohemian self beam! 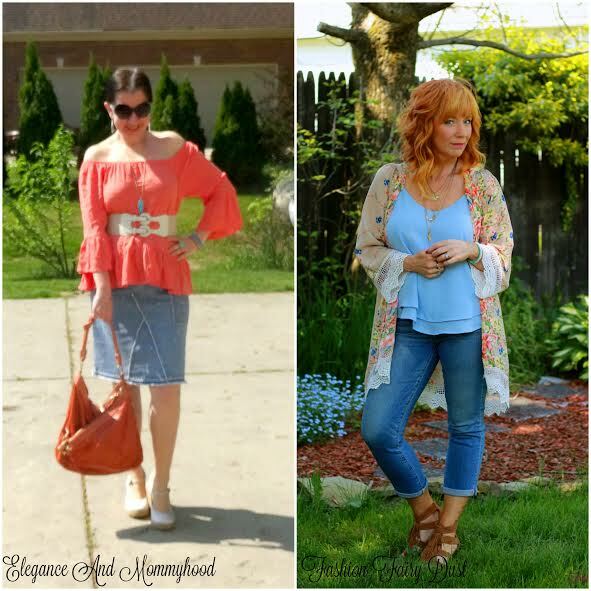 Once again Debbie and I have some of the same elements here: blue denim on the bottom, bell sleeves, ruffled hems on our tops and layered necklaces. Great minds think alike, what can I say?! Debbie looks fabulous and I think this is my favorite outfit she wore this week. That long floral Kimono with the Lace Sleeves is divine! 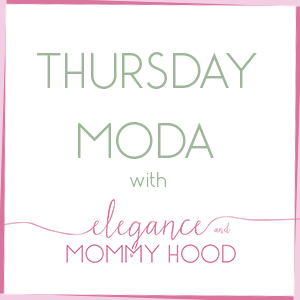 Make sure you stop by her blog and check out all the amazing outfits she shared this week, for our collaboration. 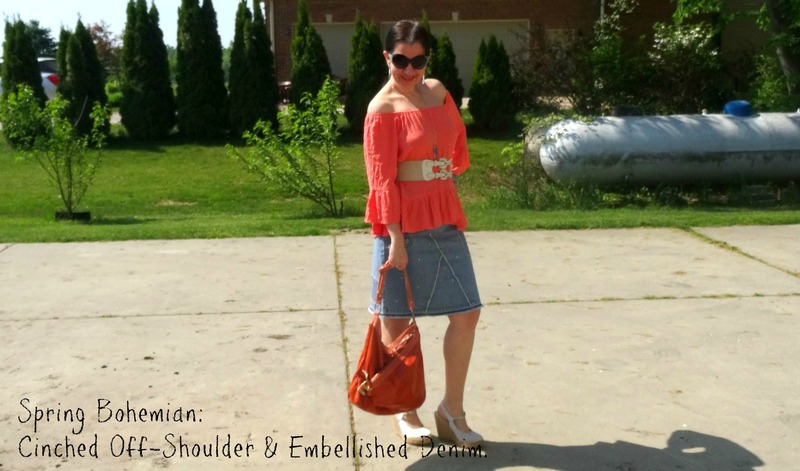 Today's Spring Bohemian look centers around this Bright Coral Off-Shoulder Blouse. Off-shoulder and cold-shoulder styles have never been hotter than this year and I think they definitely convey a free-spirited boho vibe. This blouse is even more bohemian because of its gauze material, bell sleeves and oversized peplum hem. 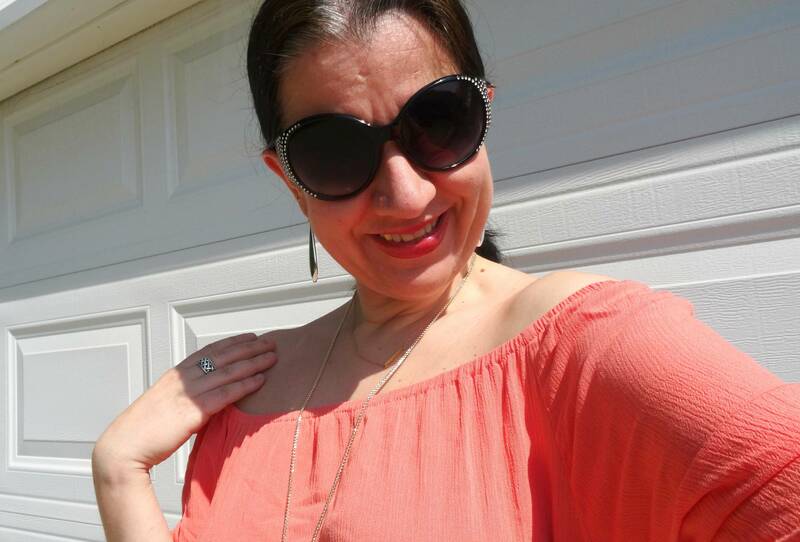 It is a new top from Target and I wish I had gotten the XS because it is a little big on me. 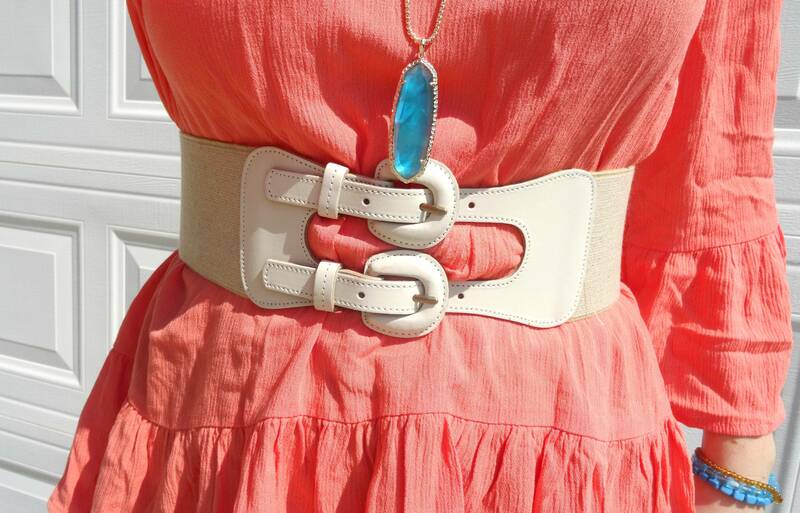 The first time I wore it (last week) over pants I didn't belt it but this time I decided to cinch the waist with a Wide Double-Buckle Belt which has a 70s feel to it. 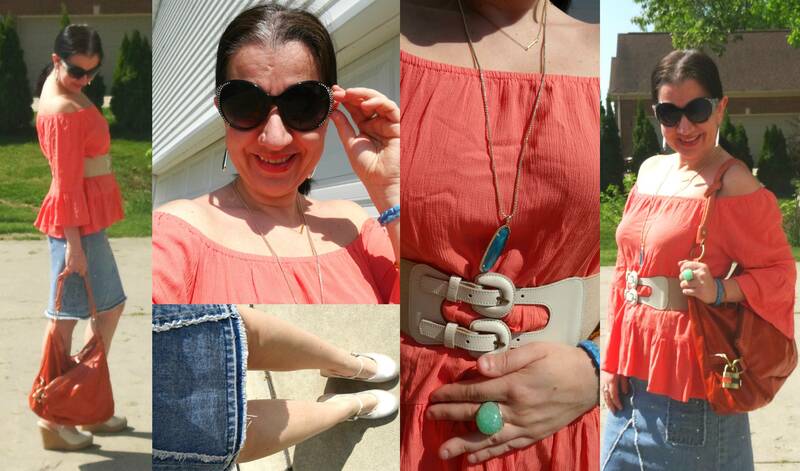 Plus my Cream Belt matched those Cream Satin Espadrille Wedges (which also have a 70s feel to them), perfectly. 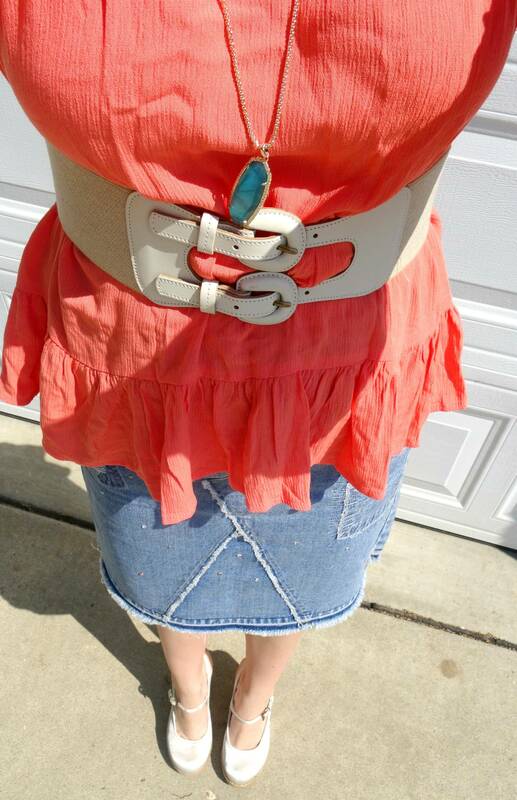 I swear the belt+wedges matching wasn't planned, either. I, once again, layered the Dainty Gold Bar Necklace with the Bright Blue Pendant Layden Necklace (from Kendra Scott) and the Teardrop-shaped Silver Earrings match the long+skinny teardrop shape of the necklace. Today's outfit is casual but still a little dressy. You may have noticed in this series with Debbie that I started with a Dressy, Work-Ready Outfit on Monday, then on Wednesday I had on a very Casual Spring Bohemian outfit and today I am dressed in the Casual-Dressy category. And I swear I didn't mean for that to happen but everyday the main piece I wore (like the top today or previously the two dresses and the two rompers I showed you this week) were all by Target. Target is killing it this Spring, what can I say? 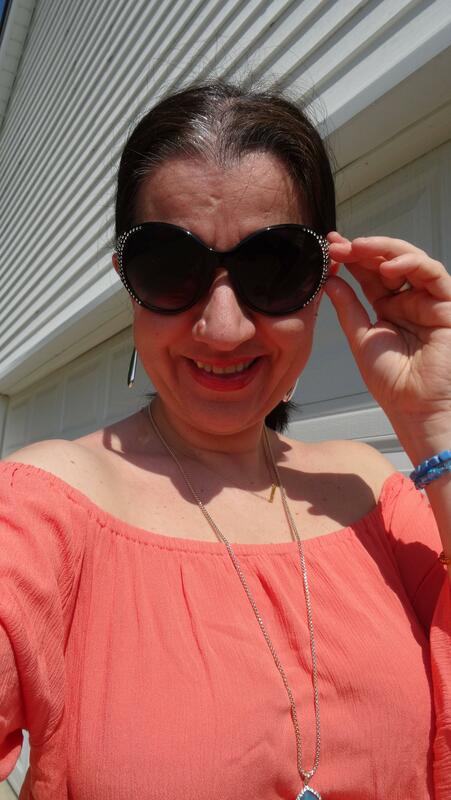 Most of my shoes were from Charlotte Russe - I can always count on them for cute, reasonable, on trend shoes; and all the jewelry were pieces from my last two sets of Rocksbox mixed in with my own Stretchy Turquoise Bracelets and Aqua Marble Ring. When it works - it works, right? 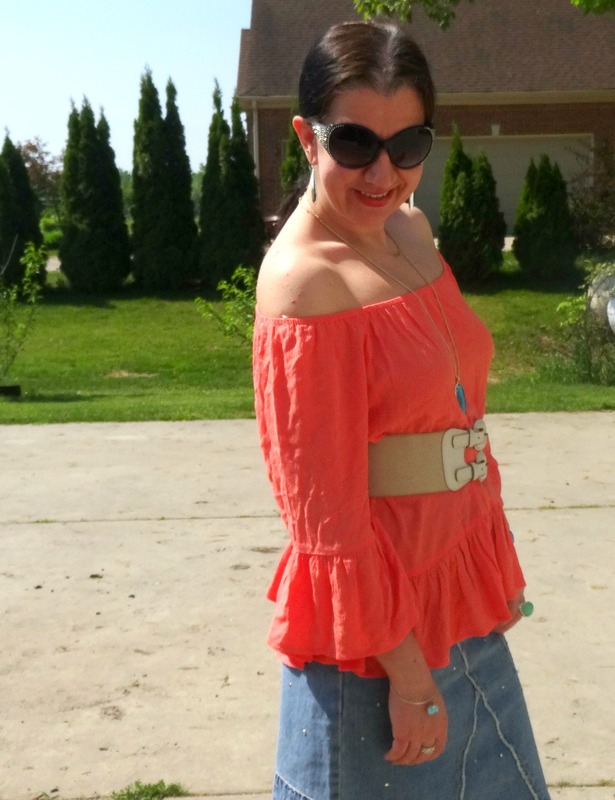 Have you cinched an oversized peplum top before and what do you think of the idea? 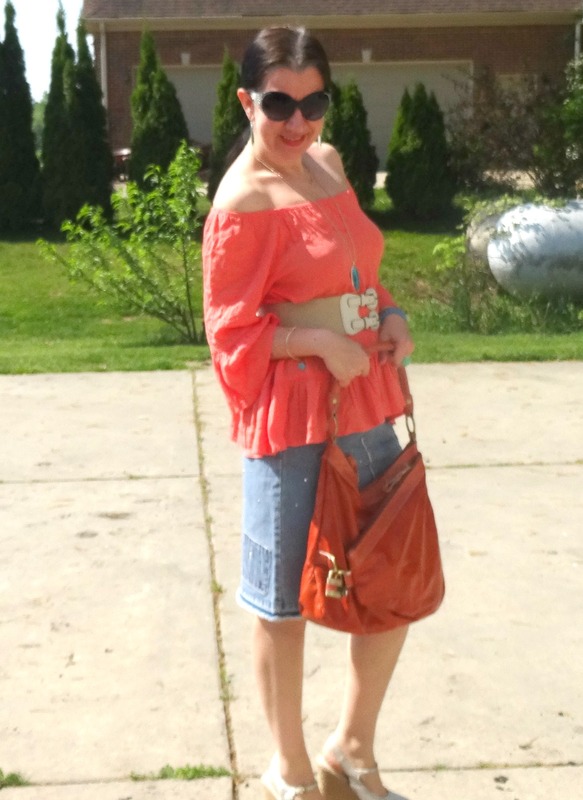 Have you enjoyed my themed week of Spring Bohemian looks? Thanks once again to DEBBIE from Fashion Fairy Dust for doing the collages this week and for being part of this fun collaboration week. 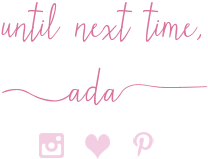 And because I love a good themed week or a fashion challenge, next week on the blog will be all about Lace and Eyelet - two huge trends for the Spring and Summer 2016. So stay tuned for an entire month of Dresses starting with Lace, Eyelet and Yoke Dresses, next week. Have a Great Memorial Day Weekend and enjoy your days off! Jaymie, Jennie, Jolynne, Karli, Kelly, Lauren, Melissa with Sheree + Rachel, Michelle, Nancy, Nicole, Osy, Rachel, Rosie, Sheela, Tiffany, Vicki, Whitney Nic and The Wardrobe Stylist.